▶ SoldThis listing was sold on Oct 17, 2017 for the price shown here. 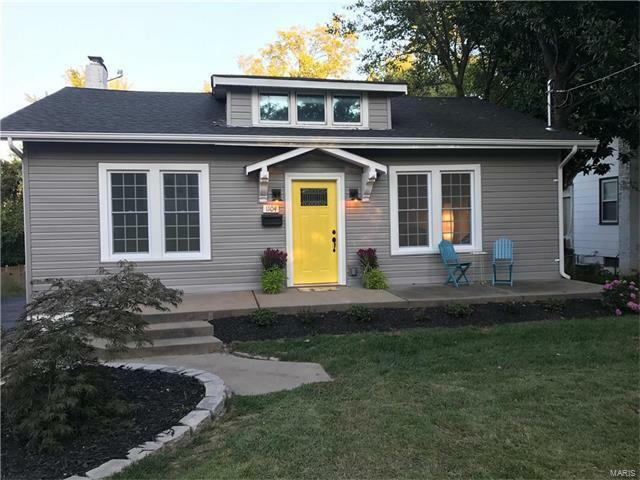 Open House 1-3 Sunday 9/24 - ALMOST LIKE A NEW HOUSE WITHOUT THE PRICE! Meticulously renovated April-August 2017. This 1920’s bungalow offers yesteryear charm with today's functionality. Adorable inside and out – 9ft ceilings, over 1500 sq ft, 3 bedrooms & 2 full baths - this house is much bigger than it looks! Large family room with original stained glass windows. Bright & spacious dining room opens to beautifully remodeled open concept kitchen with granite counter tops, stainless steel appliances, & custom built center island with island range hood. Large master suite with full bath, double sinks & walk in closet. Large remodeled hall bath with double sinks. Bungalow charm continued with new mission style doors and a blend of old and new hardwood creating a seamless flow. Some new carpet, some new windows, new gray vinyl siding. Wrap around deck overlooks large, newly landscaped yard. Electrical & plumbing upgraded, newer heating & cooling. Walk to Tilles Park, restaurants & shops.